More than just a point of entry and exit, doors add protection, security, energy efficiency, and visual interest to your home. 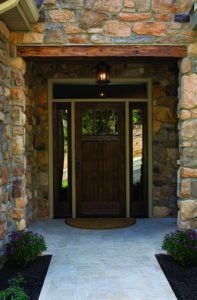 When you want the highest-quality Atlanta doors and installation services, you need the professionals at Tight Line Exteriors. With 30 years of experience helping customers get the home of their dreams, we have the skills and product selection you can count on for a beautiful home upgrade. We always keep our customers in the loop with their remodeling projects to guarantee complete satisfaction. We value and respect our customers and their homes, so we work hard to keep all of our job sites clean and orderly. Trust that your home improvement project is in good hands when you hire one of our certified contractors for the job. At Tight Line Exteriors, we understand that every home is as unique as the family that lives in it, which is why we offer custom doors designed to suit your aesthetic. Whether you need a new entry door or a security replacement door, our talented team will help you choose from our impressive selection of sizes, colors, finishes, and accessories to find the right product for your needs and budget. Ready to add beauty, value, and security to your Atlanta home with our extensive array of efficient and affordable doors? Get in touch with us today for more information regarding our products and services, and learn more about how they can benefit your home. Just give us a call to schedule your complimentary, in-home consultation, or fill out our convenient online form to request your free, no-obligation project quote.